The new designed flexible working place TES 99 allows a comfortable, rapid and accurate embedding of tissue specimens in paraffin. Due to its modular design, the separate units can be combined according to your needs and meet the individual technical and personal requirements of any laboratory. With its great variety of units (please refer to the details below) the TES 99 tissue embedding system is not to be missed in your lab. You can select from three models, each including one dispenser unit, one of three different cool units and one thermal unit. Its excellent ergonomics offers less user fatigue but more well-being advantages. The system allows a large operating volume due to tht high capacity of the modules. Apart from the appealing design of the units the system is exceptional due to its high functionality and service quality. The cold light lamp assures an optimum illumination of the work area and the optional magnifying lens is simply clicked onto it. The paraffin flow is infinitely adjustable and operated by hand or foot switch. The different temperatures are independently adjustable and visible by digital control. The dispenser unit is equipped with a programmable timer and includes two connections for our heated forceps as well as forceps wells on the left and right side of the nozzles. 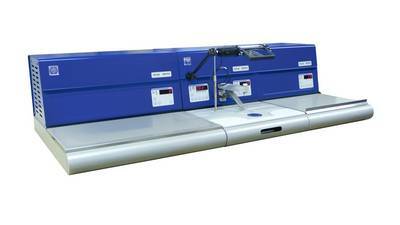 The dispenser unit TES 99.250 with its large working area and the heat protective hand rest provides comfortable embedding with all kinds of systems and tissue specimens of any size. 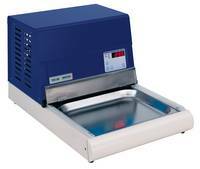 The thermal unit TES 99.600 serves for the warming up and storage of all kinds of embedding molds and cassettes. 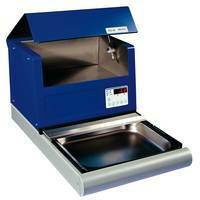 It is divided into two compartments: one for molds and one for liquid paraffin with removable stainless steel tray. The largest cold plate with a powerful aggregate easily reaches a temperature of -15° C in very short time. Its working surface has space for 110 blocks. 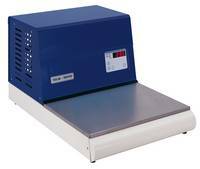 The compact model with small foot print for laboratories with limited table space. 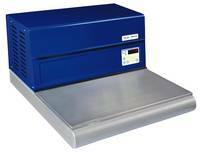 This cool unit has a capacity of up to 80 blocks that can be chilled at a temperature adjustable down to -10° C.
This cool unit differs from the other models as it has a 20 mm deep cooling tray instead of a cold plate. For better temperature stability it is equipped with a tightly closing stainless steel cover. Up to 50 blocks can be chilled at a temperature adjustable down to -10°C. Medite® offers a great variety of embedding cassettes and molds as well ashttp://www.medite.de/catalog/advanced_search_result.php?keywords=tissuewax&language=en MEDITE PURE™ Paraffin, our embedding medium in pellet form for application with all intermedia.